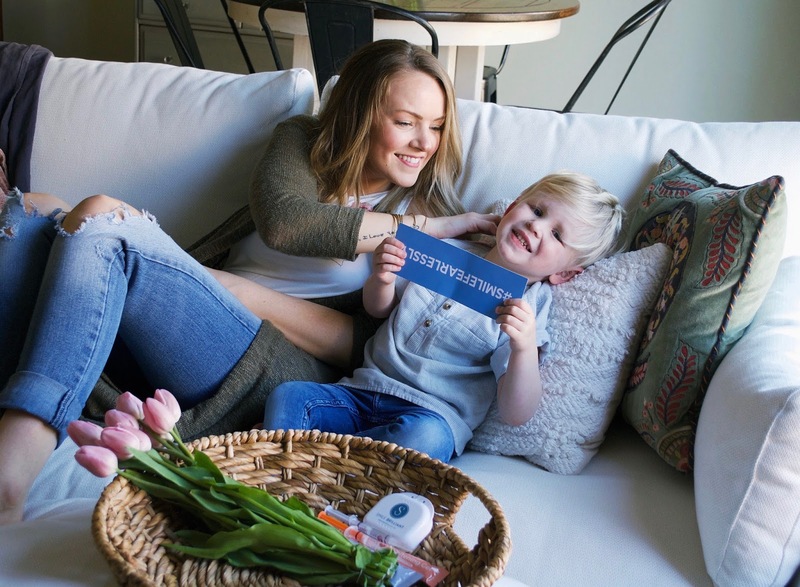 Confidence & Grace: At home teeth whitening with Smile Brilliant || Giveaway. 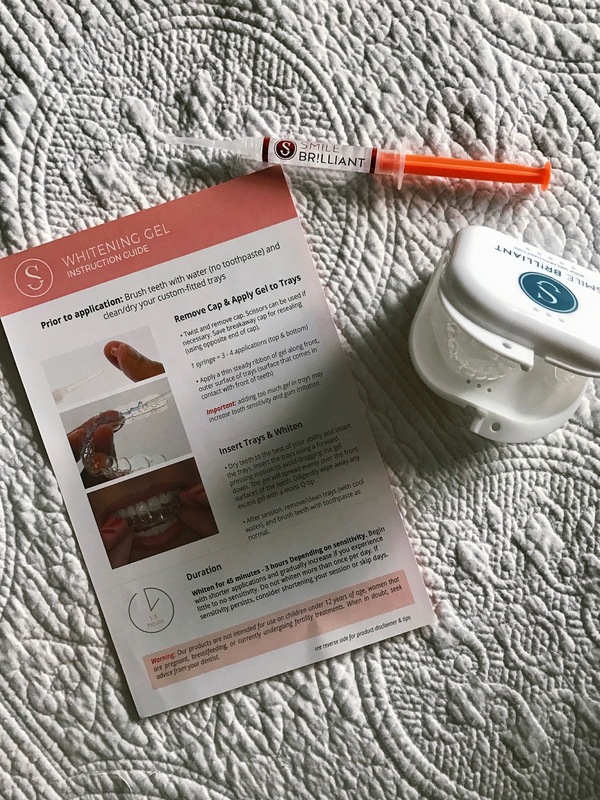 At home teeth whitening with Smile Brilliant || Giveaway. I firmly believe there is power behind someone's smile. You can make someones day by a simple smile so why not do so & have white teeth while doing it? I always tried to have white teeth but never really did anything about it. I would use the typical whitening toothpaste everyday but the years of coffee stains weren't going away. For the longest time I've wanted to get my teeth professionally whitened but didn't want to pay a ridiculous amount to do so. When Smile Brilliant contacted me to do a collaboration with them, I didn't hesitate. I jumped on the opportunity to try out their product. Actually that week they contacted me I was in the market for a teeth whitening product that actually worked. My teeth are so sensitive that it makes it hard to find something that actually works but doesn't hurt my teeth. 2. the ingredients in teeth whitening products. If either one of these are your concerns click the link here if you have sensitive teeth or click the link here if you want to know more about there Vegan & cruelty free gel ingredients. 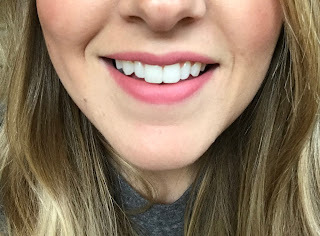 I've also included a link of 7 things you need to know before buying a teeth whitening kit. Hopefully these links will answer any of your concerns or questions you may have. I know they answered all of my questions I had. I have done the typical whitening strips before but after the third time I used them I got an intense pain which made me take them off immediately. So needless to say I was a little hesitate about whether or not I would have the same experience with this. To my surprise it didn't hurt at all. I kept it on over an hour & still didn't have any pain. Smile Brilliant give you custom fitting teeth whitening trays which you can read about by clicking the link above. What I personally love about the custom fit whitening trays is that you can't even tell you are whitening your teeth. I've come home from the gym, brushed & flossed my teeth. Put the whitening trays on, hopped in the shower & completely got ready while whitening my teeth. It is so easy. 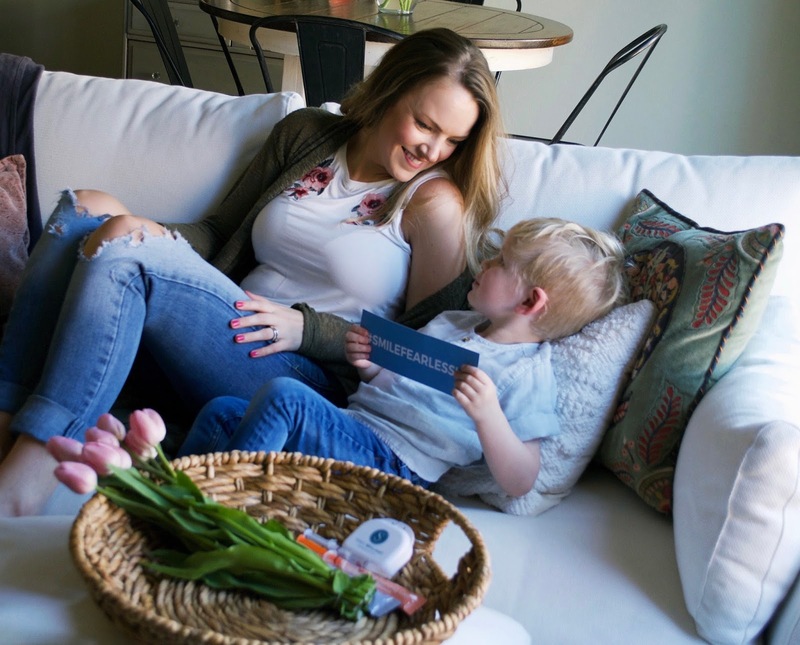 If your a busy mom of little ones you know how important multitasking is. 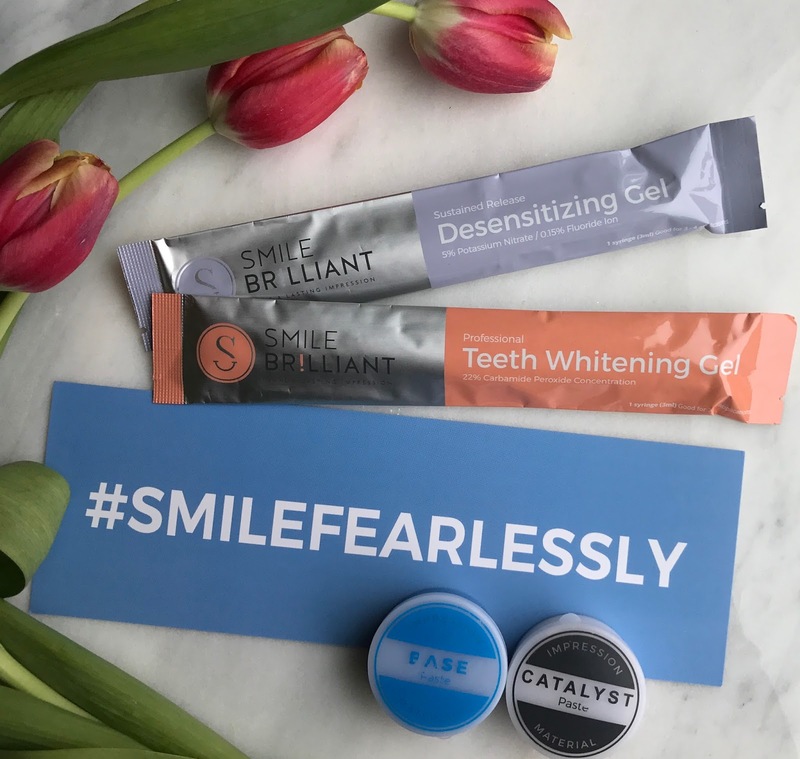 So the custom fitting whitening trays are amazing but I really think the best part of Smile Brilliant's teeth whitening kit is the fact that they know so many people have sensitive teeth & thats why they offer a desensitizing gel. It re-hydrates & seals your tooth's enamel. I'm not kidding this stuff is like gold for a person who struggles with sensitive teeth like myself. It works amazing. I had no issue with my teeth sensitivity when I used this. 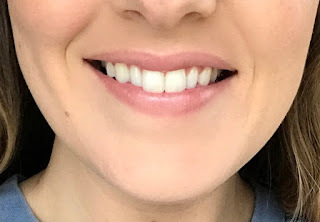 I'm a little embarrassed to show you my before & after photos but I'll take one for the team because it blows my mind how much whiter my teeth got with just 4 applications. Which good news, 4 applications only took 1 whole syringe of whitening gel. A little bit goes a long way. I still have 2 more syringes of product to use. I love how much brighter my smile is. I never thought I had coffee stained teeth before but comparing these too images... yikes. Here is the exciting part Smile Brilliant & I have teamed up to offer all of my followers a special giveaway. 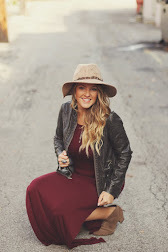 Follow this link to enter the giveaway for a personalized coupon for $139. The same value of a T3 sensitive whitening kit on Smile Brilliants site. This giveaway ends on May 25th, 2017. So hurry and enter for your chance to win.